Timings: 6:15 pm – 7:00 pm. Aarti time depends on Sunset. 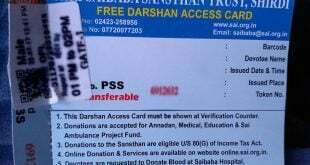 Darshan will be stopped during Aarti timings. 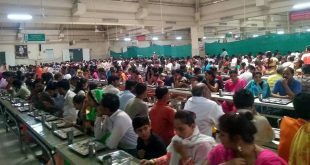 Devotees has to be there in queue line in advance for Dhoop Aarti. Usually it is 1 -2 hours during crowded days. Aarti song will be sung during the Pooja time. Online booking is available for Aarti Tickets. Devotees can book 10 tickets using 1 login id. It includes male, female and children. Dress Code: Any decent outfit will be allowed. No restriction on the dress code. Children under 12 years don’t need tickets. Only 4 children are allowed on a ticket (pass). This applies for under 12 years. 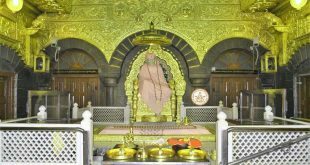 How to reach Shirdi Temple? The nearest airport is at Shirdi which is 15 km away. Pune international airport is 190 km away. The direct train is available from all places to Shirdi Temple. It well connected with daily trains. Temple is easily reachable from airport, bus station and railway station. Bus frequency is quite high. Website is not working or opening properly. Disgusting kindly requesting the management to look into this issue. Lots of hope are simply dashed due to your mismanagement.We are paying the price you have mentioned but you are not rendering the services. from 6.15 pm to 7.00 pm it will be performed, for booking please contact 9393939150. Dhoop arthi starts from 6.15 am and and ends at 7 pm and it cost you Rs 400. You can get the dhoop arthi directly on arrival from 6.15 pm to 7 pm it will happen daily and it cost you Rs 400.